We thought that we should make a handy infographic to share our extensive range of services covering our core areas of expertise so you can tell a glance what service may of use to you. If there’s something your looking for ( or can’t see on the infographic) then do give me a call on 01413780881 and I’ll be more than happy to point you in the right direction. 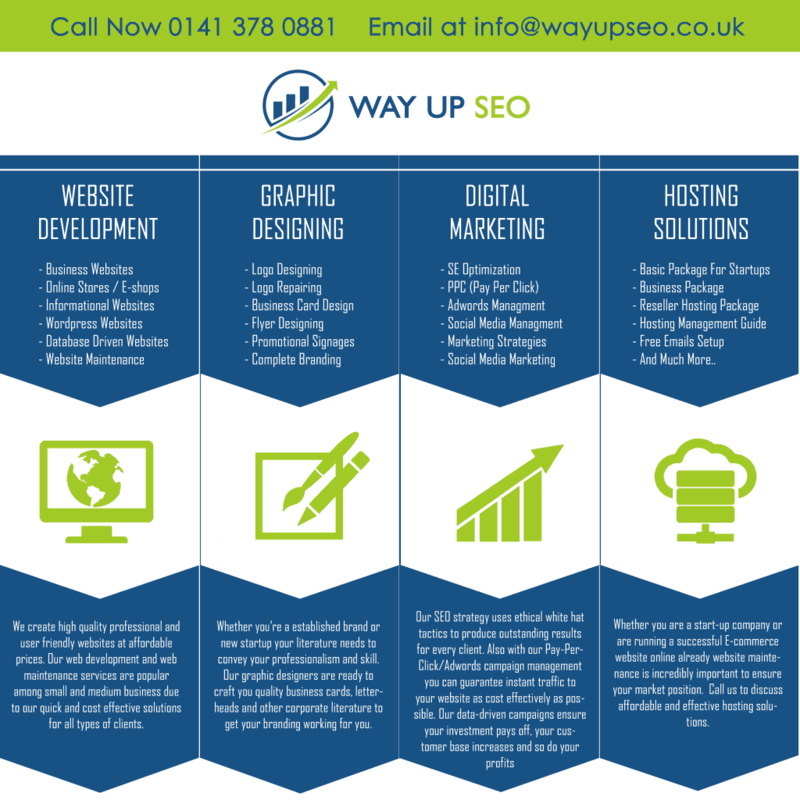 Whether your looking for a simple website to get your business off the ground or run a seo campaign to boost your search engine rankings locally or nationally we’ve got it covered.